Remember when we started golf? Hand me down, shortened blades that looked like razor blades, weight 15lbs and were as stiff as a fire poker. Probably not the best thing a kid could use to develop a golf swing with. Maybe I can use my dad as an excuse for my swing faults. Fortunately, nowadays we have very lightweight materials that can be used and there are a lot of clubs that are good for juniors when they are small and just starting out. Smaller and younger kids should be using extremely lightweight equipment. These can give them a good foundation for their swing. However, the “fitting” with these clubs is usually limited to the height of the child which in turn leads to a limited fitting. 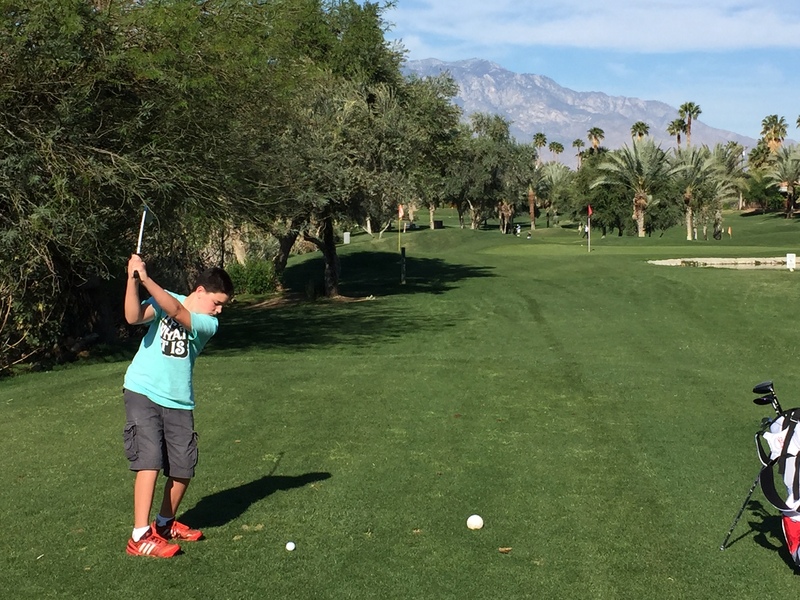 Today I am talking about the kids who have reached that developmental stage when they are too big and/or too strong for junior clubs. The Juniors who are not quite ready to use adult equipment but are at a point in their game where they are ready to transition out of junior clubs. These juniors, while still growing, need a custom fit set of clubs as much if not more than any other golfer. The future of their swing and their overall game depends on it. If the clubs do not match their body and swing, not only will they not progress the way they should, their game is likely to go backwards and, worst case, they may end up leaving the game through frustration. Cast and forged both have appeals for these kids and their parents. Cast is far more budget friendly for the parents however a good forged head will be more adjustable as they grow and may save some money in the long term. Shafts absolutely must match their swing and strength. Too light and their swing can get quick trying to make up distance due to a lack of mass in the club. Too heavy and they will fight to maintain any form of good posture throughout their swing. These are the same issues for adults but it is more pronounced in juniors who have not yet completely created all of their lasting habits, good or bad. Where drivers are concerned not only is the shaft important but loft is critical for these kids. Both too much and not enough loft will not only create a lack of distance but will cause them to have to have try to make up for it will a bad move through the ball. Yes, again, the same problems facing adults but remember that these kids are developing their swings and have aspirations to play on their high school team, in college or even as a Pro. They do not have the time for these setbacks in their swing during this developmental stage. The bad habits created could very well last a life time and prohibit them from achieving their goals. I have personally taught a lot of these kids during the early parts of their careers in golf. Ensuring that their parents understood the importance of custom fitted clubs was one of the first things I would discuss with them. Very few ever came to me with a set they had been fit for and their progress after they are properly fitted set was tremendous. Rather than get that second hand set for a steal of a price, help your child’s game and make sure they are properly fit here at KZG. We have the equipment and the knowledge necessary to help your child achieve their goals in this great game.